There's so many things to do in Portsmouth that it's far too much to fit into one weekend. Whether you're after a cultural break, the chance to take in some seaside strolls, or something else entirely, you're certain to be spoilt for choice. 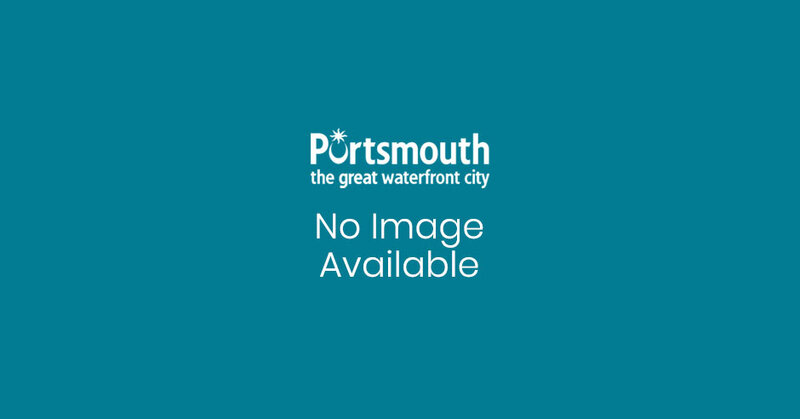 Thankfully, we have all the listings right here for what to do in Portsmouth, so you need look no further. Here it is, then, your comprehensive guide to the attractions, activities and things to do in the city. There are plenty of places to visit in Portsmouth, whatever you're looking to get out of your trip. It covers all the big attractions, like the Emirates Spinnaker Tower, Portsmouth Historic Dockyard, Southsea Castle and Charles Dickens' Birthplace Museum. If it's some retail therapy you want, this is also the place to seek out info on all the big shopping areas, from the designer outlets of Gunwharf Quays to the Commercial Road High Street and independent Albert Road. Use the VisitPortsmouth itinerary planner to create your perfect fun-filled trip and share it with family and friends. If you're looking for a cultural break filled with theatre, film, museums and art, be sure to check out our Culture section, packed with the best of festivals, music and more. All our big theatres are here, including two (the Kings Theatre and New Theatre Royal) that were designed by revered architect Frank Matcham. This section also covers live music; the city's gig venues having played host to some of the world's biggest and best-loved acts. Portsmouth is alive with history, and our Step Back in Time section will help you discover the story of Portsmouth. It details Southsea Castle, from which Henry VIII watched his beloved Mary Rose sink to the bottom of the Solent. The section also covers our many museums and libraries, which house historical works from two of our greatest sons; Charles Dickens and Sir Arthur Conan Doyle. Additionally, here's the place to find out about Portsmouth Historic Dockyard, which houses a number of iconic warships, including HMS Warrior, HMS Victory and HMS Alliance. Not forgetting the Mary Rose Museum, of course, which offers a glimpse into Tudor life, alongside the majestic ship in a new, much more open setting. There's plenty of things to do in Portsmouth to get the heart racing - and not just the Spinnaker Tower's glass floor! The Common is a vast expanse of parkland that hosts a number of events throughout the year. It is home to the weekly Parkrun, where participants can take on a timed 5k run completely free. It's also where the annual Great South Run starts and finishes. Known as the fastest 10k route in the world, this flat race through the streets is ideal for setting personal bests. One of the best ways to enjoy the city is by joining one of the regular Guided Walks and Talks, led by Portsmouth Guiding Service. With an every-changing programme, be sure to take a look at the upcoming walks here. Experience a day out in Portsmouth in two minutes in our video below. You can always check out some of our other popular pages by clicking the following links: Southsea, Accommodation, Hotels, Bed & Breakfasts, Self Catering, Attractions, Museums, Places To Eat & Drink, Restaurants, Pubs, Shopping, Nightlife, Whats On, Parking & Maps. Regardless of your age, ability or fitness, the Peter Ashley Equestrian Centre has a lesson for you. A haven of green tucked away in the city centre adjacent to the Guildhall and Civic Offices.